Colleagues will be saddened to learn of the death yesterday of Dr John Ashton (1931–2016), former lecturer in New Testament Studies at the University of Oxford (1984–1996), and Senior Tutor at Wolfson College (1998–2000). 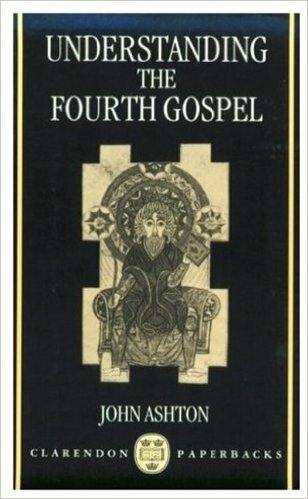 John was the author of significant books and articles, notably (though not exclusively) on John’s Gospel, including: The Gospel of John and Christian Origins (Fortress, 2014); The Religion of Paul the Apostle (Yale, 2000), Studying John: Approaches to the Fourth Gospel (OUP, 1994); and his magisterial Understanding the Fourth Gospel (OUP 1991; rev. 2007). In 1998, he was honoured by a Festschrift, Understanding, Studying and Reading: New Testament Essays in Honour of John Ashton, edited by Christopher Rowland and Crispin Fletcher-Louis (Sheffield Academic Press, 1998), and in 2010 a colloquium was held in Bangor to mark what he called his “big book”, Understanding the Fourth Gospel, resulting in the publication, John’s Gospel and Intimations of Apocalyptic edited by Catrin Williams and Christopher Rowland (T & T Clark, 2013).